Simply put, we thrive on making Markus Mobile Tax Accounting Services the leading mobile accountant service in the Western suburbs of Melbourne. Markus Mobile Tax Accounting Services provides mobile accounting and taxation services in the Western suburbs of Melbourne. We recognize that our clients have better things to do than spending time in traffic traveling to their accountant’s office so we will visit our clients instead. Servicing the Point Cook, Werribee, Williams Landing and Tarneit as well as the Melton area, our mobile services are flexible in the comfort of your own home or business premises. We will work on your accounts and tax returns to make the tax compliance process a painless solution for you. We can take care of all accounting need, work on tax minimisation strategies, set up your new business and look after all company and tax compliance matters. 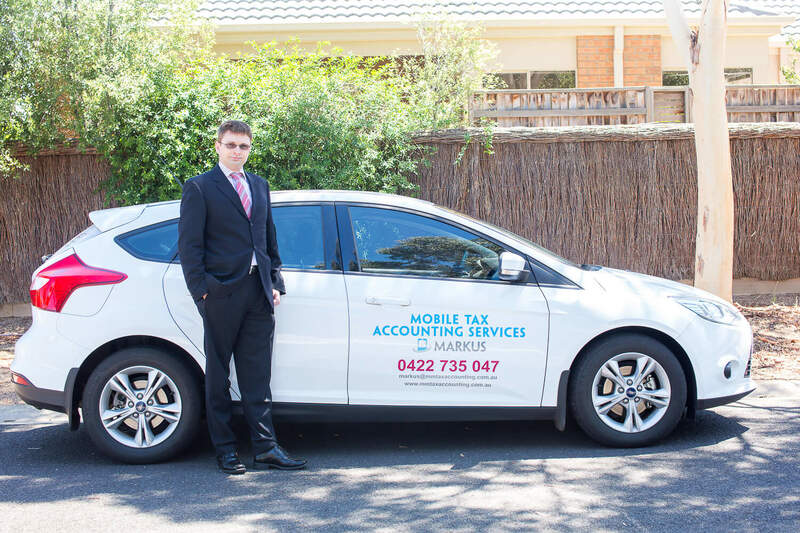 Markus Mobile Tax Accounting Services is the leading local tax agent in Point Cook and Werribee. We understand how stressful tax time can be, and we are dedicated to providing professional a tax accountant at your convenience. Point Cook and Werribee businesses can be assured with MM Tax Accounting Services all your accounting needs will be taken care of. Whether you are an individual taxpayer a small business owner running a sole trading business or partnership, trust or a company we can help you with our tax return services. We offer professional services at affordable rates at a place and time most suited to you. Our aim is to make the tax compliance process a painless solution for you so you can spend more time looking after your business or have more time with your friends and family. We offer a range of accounting services for SME and help our clients with financial and management accounting so clients can focus on running their business. Whether it is a new business venture or a well-established business we are passionate to help our clients managing all aspects of accounting. From setting up your business structure whether it will be a company, partnership, trust or as sole trader through setting up all your tax registrations and accounting software we will guide you through the process and share your journey. Being able to have access your business accounts 24/7 at a place convenient is important to many of our clients and we can help you to set up your cloud accounting software. We are certified Xero and Quickbooks advisers and can help you maximize your time savings by switching to the cloud. Whether it is your first time to use an accounting package or a change of accounting software we are looking forward to set up your cloud accounting package. When you start a new business venture you want to make sure to set up the right business structure so you can focus on running your business while your accountant worries about all business registrations and providing you with guidance along the way. Markus Mobile Tax Accounting Services is your first port of call. We are your accountant and tax agent maintaining a close relationship with our clients so we will be with you along your new journey. Personal service tailored to individuals and small business owners. Experienced accountant CPA qualified and Registered tax agent. Fast, reliable and cost effective services as we operate within your local community. Free quotation before we commence our engagement. Markus Mobile Tax Accounting Services takes care of all your taxation, accounting and business compliance needs. Please enter your contact details and service needs so we can provide you with a free quote.